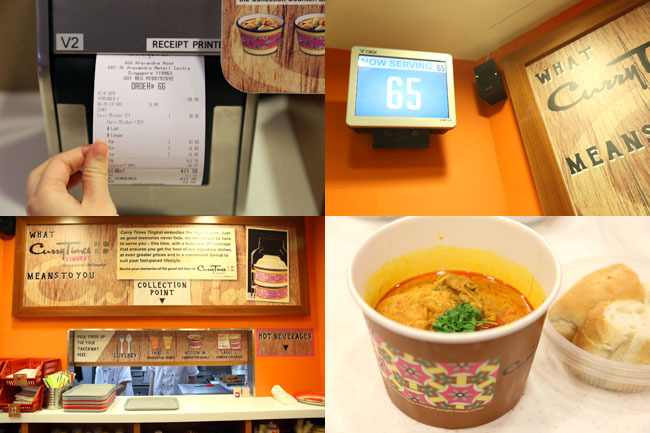 Old Chang Kee Launches Self Service System. Question Is: Will You Accept It? Most Singaporeans should know Old Chang Kee, for their hot crispy curry puffs with chicken chunk fillings and glorious golden-yellow deep fried snack on sticks. Talking about their chicken wing, they always have something against my diet plans. 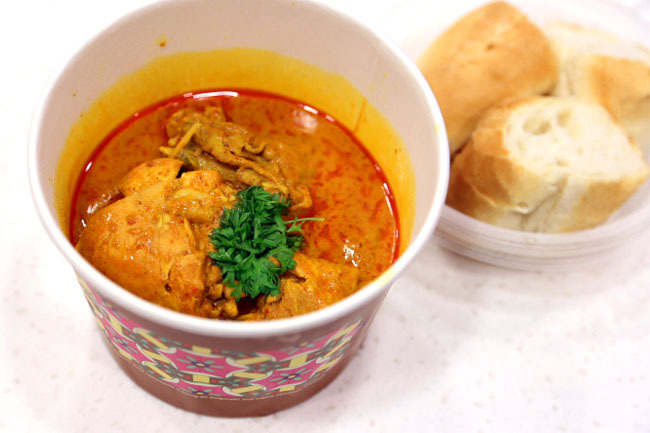 Old Chang Kee has just launched Curry Times Tingkat at Alexandra Retail Mall (ARC, PSA Building), an all-day casual dining which is an offspring of Curry Times – and it has a self-service twist. There are supposed 3 easy steps: Order, Pay and Collect. So I tried it on my own to check if it’s easier, faster and indeed smarter. 1 – I went to the kiosk and made my order. That was easy because I knew what I wanted, and the menu came with clear pictures and pricing. 3 – Collect your receipt which has a waiting number. 4 – There were about 3-4 people in front of me, and woops, I got my Curry Chicken in 5 minutes at the collection point. That’s fast! 5 – All right. I got to pack this myself. Shouldn’t be too difficult. Plastic bag, cutlery, serviettes, all checked! 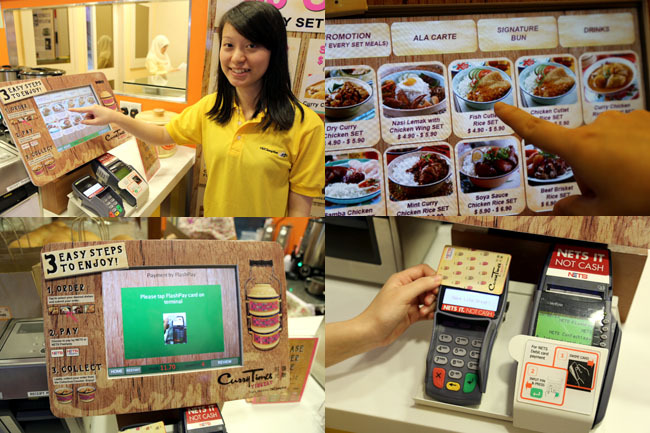 According to Old Chang Kee’s CEO Mr William Lim, this self-service concept helps to boost their space productivity, and reduce manpower cost through shared labour and adoption of new technology. Let’s compare this concept to a non-self-service restaurant, where there is a lot of staff movement within the dining area. As staff go back and forth from each table to take orders, serve food, collect payment, return change/credit card, clear table and so on, this requires more space to be allocated at the dining area for the high traffic. With the new self-ordering system, there is lesser movement which makes staff’s work easier and safer, and the restaurant layout can be planned more efficiently with more sitting capacity. 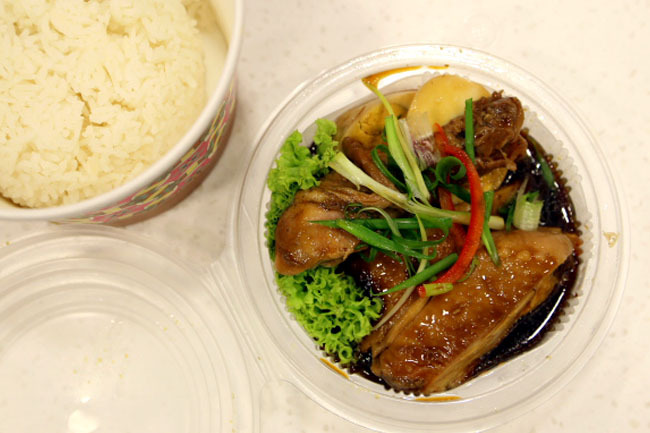 Old Chang Kee has launched this self-service system. And the question is: Will customers accept it? He added that there are customers who go, ‘“Uh… why do I need to pack it myself?”, “I’m sure they will clear the table later…they have people to clear! (when it comes to clearing their own trays)”. 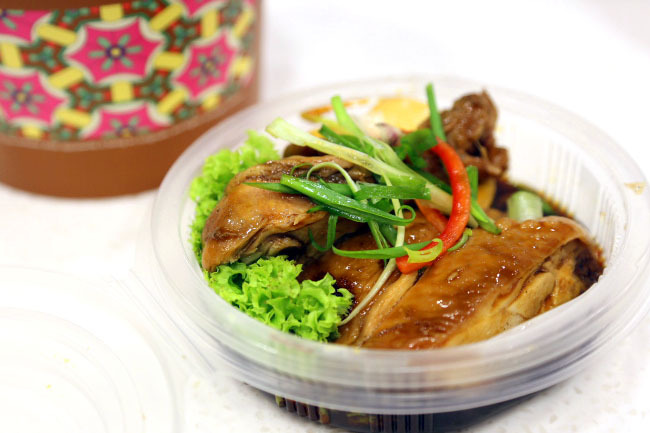 To encourage customers, Old Chang Kee is providing a $3 off when they pay using NETS flash card to make payment. That’s a huge discount considering the meals are less than $10 each. This system reminds me of Hong Kong’s Octopus Card system where you can make your payment at most supermarkets, convenience stores and small eateries (like cha chaan tengs) with a card – no hassle with coins and notes, especially convenient for tourists. I wonder when it would be possible when Singapore to move into such a system, where the EZ-link card becomes encompassing enough to be adopt by the SMEs, and when it comes to paying ‘smaller payments’, say like buying an OCK curry puff. Imagine paying for your curry puff with a card instead of digging for coins (which can take forever). Certainly easier for both the customers and service staff, and more hygienic and safer with the non-handling of coins. With staff being less involved at the cashier and manual transactions, they can keep up with their other daily operations such as maintenance of work area’s cleanliness and hygiene, maintenance of stock and records and have time to offer better service to the customers. The long-term reduction in manpower cost is then invested in training programmes for existing staff to upgrade and learn new skills. 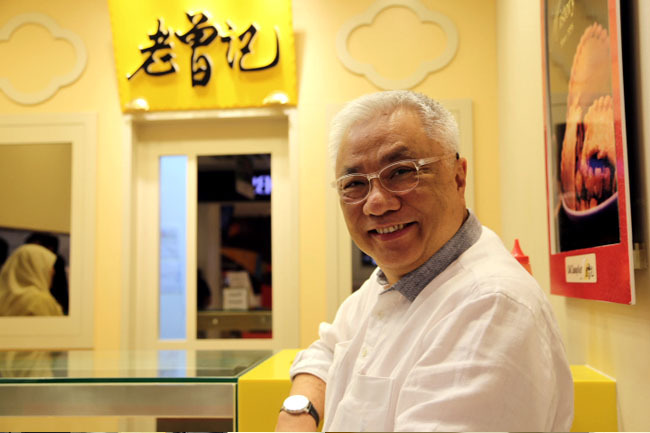 I also had a quick chat with Old Chang Kee’s chairman Mr Han Keen Juan who was really a jovial and friendly man, and asked if these machines would replace the aunties behind the counter one day in the future. Actually many outlets allow for cash less payment already.. OCK, Mr bean, 7-11, koufu, macd etc. The Flash pay card I feel is more convenient than ezlink. Most retailers with the nets machine are able to accept Flash pay as a form of payment. Its a matter of time coys start shifting to this concept or other methods to reduce manpower as there are less people willing to in the F&B industry (even manufacturing, construction, e.t.c). Everyone wants to work in aircon environment with a 5 day workweek. This is also partly due to our development into a first world country. Certainly do not see anything wrong with this concept as its a real problem. 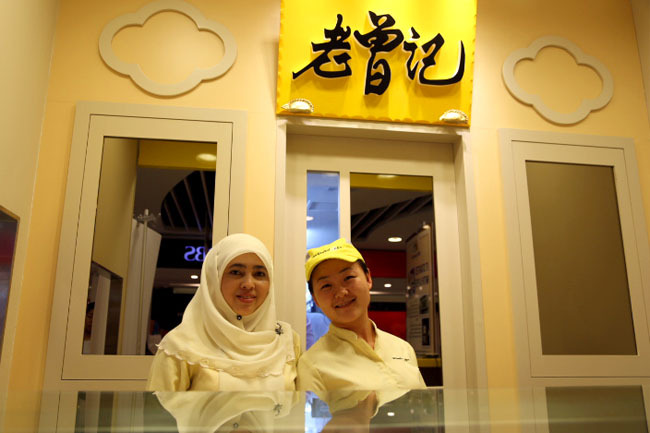 However, I find it ironic that in the two paragraph of this post, the chairman mentioned “Old Chang Kee is all about that human touch, about meeting customers face-to-face, and that can never be replaced”. Erm, as shown in this post, they are doing that (i.e. replacing human touch with machines). After all, I would expect this to be a pilot programme and if its successfully after a few months, they will roll this out to other outlets progressively. After all besides money (they are listed in STI), the next thing that would likely deter expansion would be human resource / manpower. When I saw the photos, I noticed that they are using plastic containers. I certainly hope that they are environmental friendly and have ceramic bowls for dine-in. The food tastes, OK. The prices are fair (esp the current promotional prices). Not enough seats though. Otherwise, why not? I am interested for franchise. All food we tried were cold at ARC. Even the Teh. Will pass next time.